It’s officially part of the dictionary so what does a good ‘manscape’ involve? It’s simply (or not so simply) removing unwanted bodily hair other than scalp hair. I know, I know… that’s a lot of hair. Fellas, if the ladies can do it, we can do it too. How much you want to remove and where is all about personal preference. It’s knowing how to do it that can save you possible irritation or embarrassment. The first step is establishing your tool. It’s highly recommended you use a body groomer to get the job done quickly and easily. A best seller is Remington Quick Groom Body & Back Groomer $149.95 which includes five easy clip on combs for trimming to multiple lengths and makes it easy to trim hard to reach places on your back. 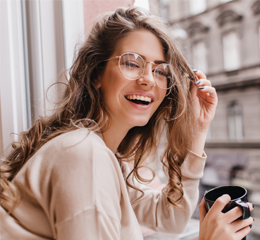 Gone are the days of asking your partner, or roommate (ugh!) to rid that hair for you. Another popular option is the Philips Bodygroom Series 7000 Showerproof Body Groomer $199 which can easily flex in four directions adapting to the contour of your body to give you a smooth shave all over. Philips Body Groomer provides a close ‘scape, as it will trim down to 0.1mm and is ideal not only for the manscape, but the ladyscape too. If you’re after a smooth and completely clean look, then after trimming we suggest lathering up in the shower with a shaving cream like Smartmen Shave Cream 300ml $29.95 and shave your hair with light, gentle strokes in the direction your hair grows. Use a quality blade like the Gillette Fusion ProGlide Styler $29.99 and make sure the blades are in good condition before you start the process. We don’t want any awkward trips to the emergency room! After your groom is complete, it’s important to maintain a consistent after care routine. Moisturising daily and exfoliating every three days or so to prevent ingrown hairs should become part of your routine, especially if you decided to get rid of it all! 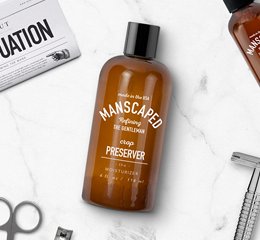 Check out the Manscape range which has been designed specifically to support your manscaping journey. Click here to view our full range of body trimmers. Pro tip: Exfoliate, exfoliate, exfoliate – prevent those annoying ingrown’s (in places you really don’t want an ingrown) to maximise your manscaping efforts. Maintain your blades with Shaver Guard or Trimmer Guard so your manscaping tools are ready to go when you are. and how to do it right!